"I am strong, healthy and happy." 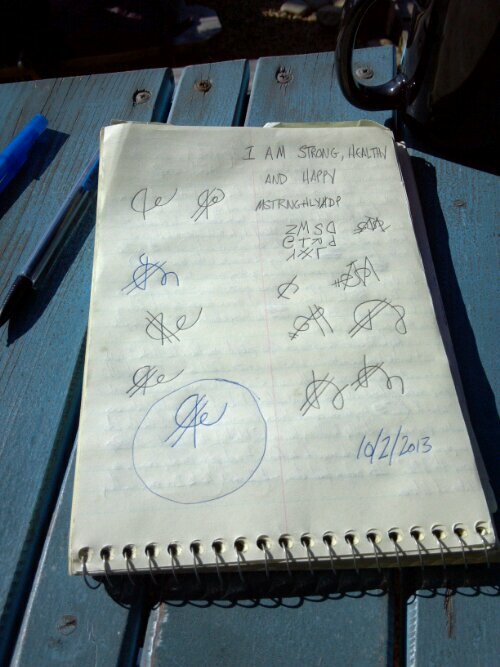 Today, I thought we’d take a step back and demystify the sigil-creation process. This was created with a perfectly normal mechanical pencil, ink pen and steno pad in about five minutes over coffee. You can see the entire process, with the finished sigil circled in the lower left. I’ll likely create a more artsy-looking version with oil pastels on sketch paper later, but that’s solely for the sake of presentation. This is the sigil itself.